Here is a fun, football themed game. 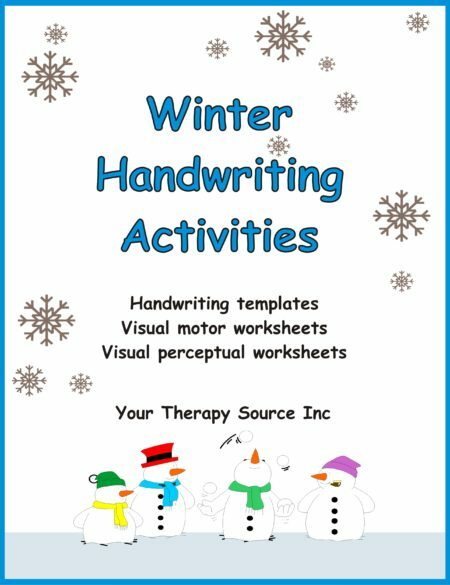 Print out the activity. Write one activity on each of the 6 footballs that you need the child to practice. 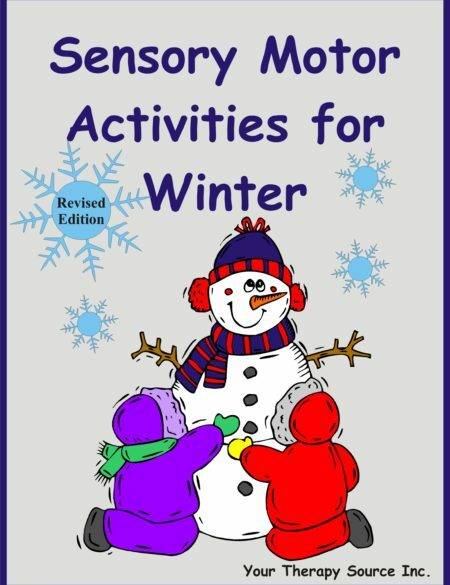 For example – gross motor skills, hand strengthening activities, words, etc. 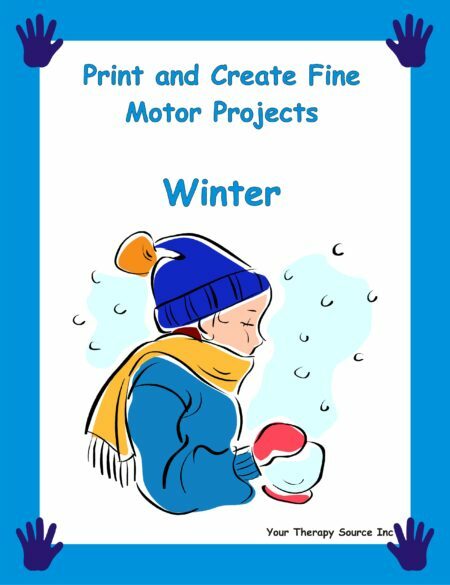 The child draws a card, performs the activity and places the card on the football board according to the matching number. If you football goes between the uprights (numbers 1,4,5) you score 3 points. 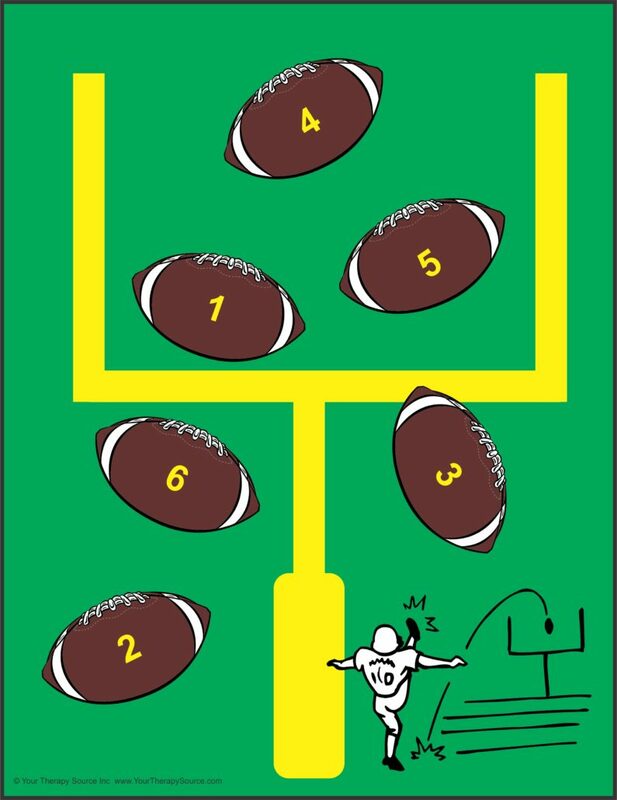 If the football scores beneath the uprights (numbers 2,3,6) you scored a touchdown and earn 7 points. The directions, football game board and blank footballs are in the document.